Drug court is a common diversion program across the nation that attempts to help nonviolent drug addicts charged with crimes by placing them in a supervised treatment plan in lieu of the traditional justice system. In exchange for successfully completing the program, participants can often get a reduced sentence or have charges dismissed entirely. The city of Buffalo, N.Y., has a new experimental drug-court program aimed specifically at opioid addicts. 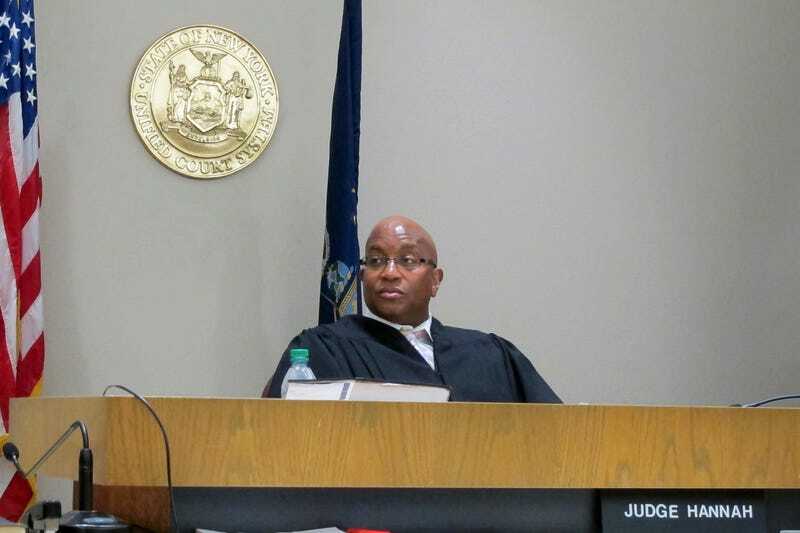 NPR reports that the Buffalo program, which is overseen by Judge Craig Hannah, is the first of its kind in the country. Opiate Crisis Intervention Court prioritizes treatment over criminal prosecution. Hannah’s program differs from other drug-court programs in that if a defendant expresses a desire to get help in kicking his or her opioid or heroin addiction, the court defers adjudication in the case in order to make this happen. While treatment is also a component of traditional drug-court programs, it often take weeks or longer to get the defendant enrolled in an inpatient treatment or detox program that could help them get sober. Because a delay in treatment can prove fatal for those addicted to opioids, time is of the essence. NPR reports that Erie County, which includes Buffalo, is on track to have the highest opiate-overdose death total in its history. The county averages just over one overdose per day. In Hannah’s program, participants go through 30 days of inpatient detox followed by 30 days of outpatient treatment. They have to appear in Hannah’s courtroom at 11 a.m. each weekday to check in with him and have a one-on-one talk. If they fail to show up for that 11 a.m. check-in, Hannah issues a warrant for their arrest. The program also includes regular, random drug testing and an 8 p.m. nightly curfew, when participants have to check in with a court staffer and let them know their location. One-on-one and group counseling is also part of the program. Hannah’s program was created in May with a $300,000 grant from the U.S. Justice Department. While it is too soon to draw conclusions about its success, the preliminary numbers show that it may be onto something. Of the roughly 140 defendants who have participated in the program so far, only four have washed out. Both the National Association of Drug Court Professionals and the Bureau of Justice see the program as promising, especially the immediate-treatment aspect of it. In the meantime, Judge Hannah is acting as a champion and a cheerleader for everyone who comes through his program. He told NPR: “I always tell everyone, we play by Vegas rules: What happens here stays here. You tell me what’s happening, we’re not going to charge you with new charges. We’re going to give you the help that you need, because we know that this is an addiction.